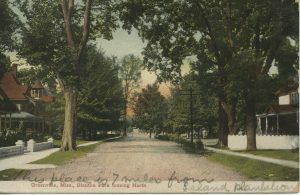 Blanton Park emerged as a downtown neighborhood in 1886 from Harriet (Blanton) Theobald’s old homeplace. 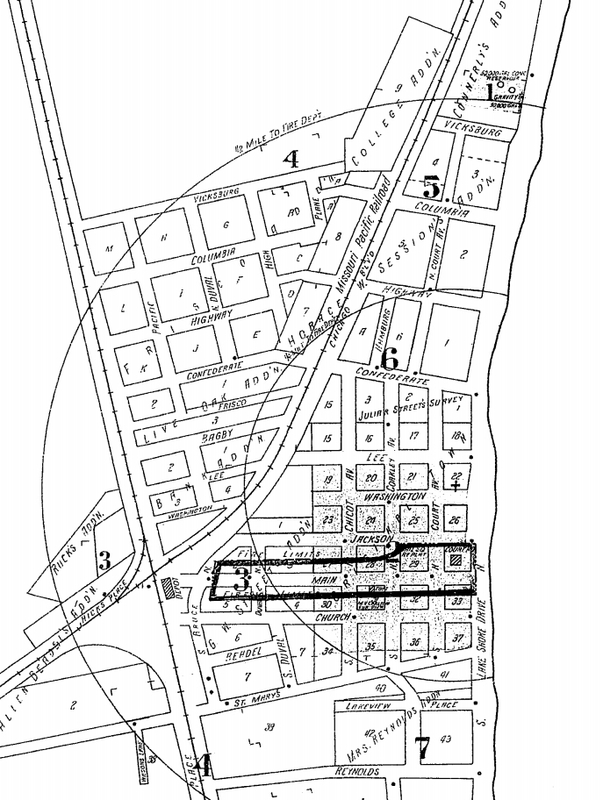 In 1865, Theobald donated part of her plantation for the town of “New Greenville” just behind Island No. 83 on the Mississippi River. 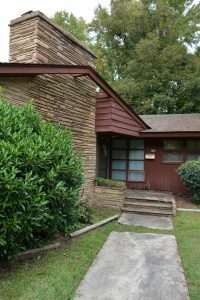 After her death, her surviving son, Orville M. Blanton, subdivided her personal property into Blanton Park. 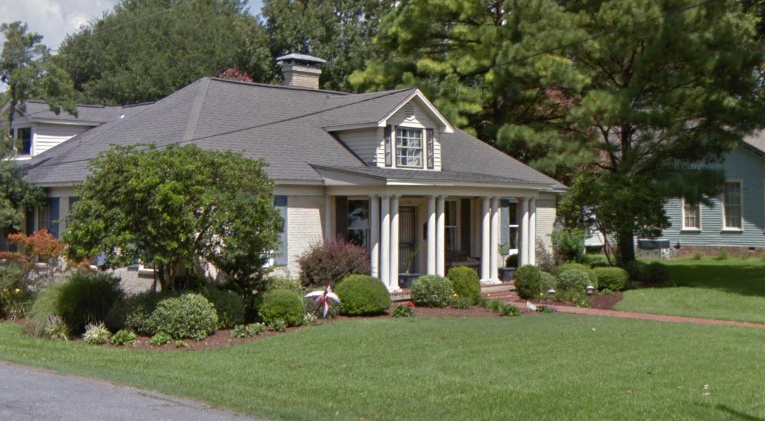 Blanton Park became a residential subdivision with homes of family members, professionals, and politicians. 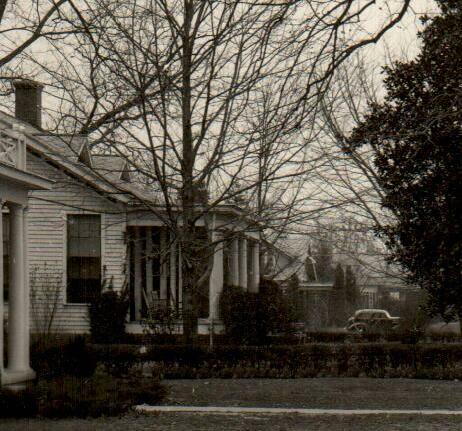 On its corners and edges were churches, businesses, clubs, and the Greenville Sanitarium. 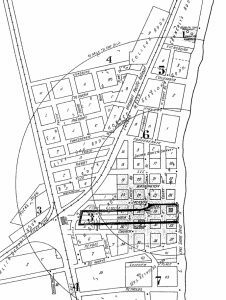 Washington County Historian Princella Nowell will explain how the “Park” was subdivided, who lived there, and what eventually happened to the homes and churches as they were abandoned to fire, flood, and neglect. Adolph Meyer of Eudora, one of Chicot county’s well known business men, opened a business at Grand Lake in the year 1867. 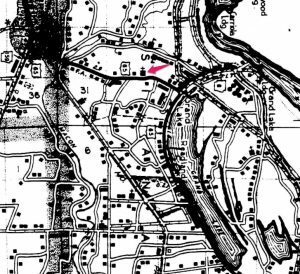 The old pioneer tells of the great Mississippi Delta, when the river was the only artery of transportation and before the era of levees, reminiscent of the earlier days in this section. “Arkansas Boasts of Real Seaport: Ocean Steamers Soon will be Stopping at Grand Lake,” Arkansas Gazette, August 16, 1925. In the year of 1867…I went from Bizell [sic], La. on the steamer Robert E. Lee to Memphis on a business trip. On my return the steamer docked at Grand Lake to load on 600 bales of cotton. It took some four or five hours for the boat to be loaded, and while this was being done I walked out over the little town, and to my surprise I saw at least 100 wagons loaded with cotton and wool, and the business people were not able to handle his tremendous trade. Some of these wagons were from Bonita and Bastrop, La., some from Wilmont, Portland and Hamburg, and from various places out west. 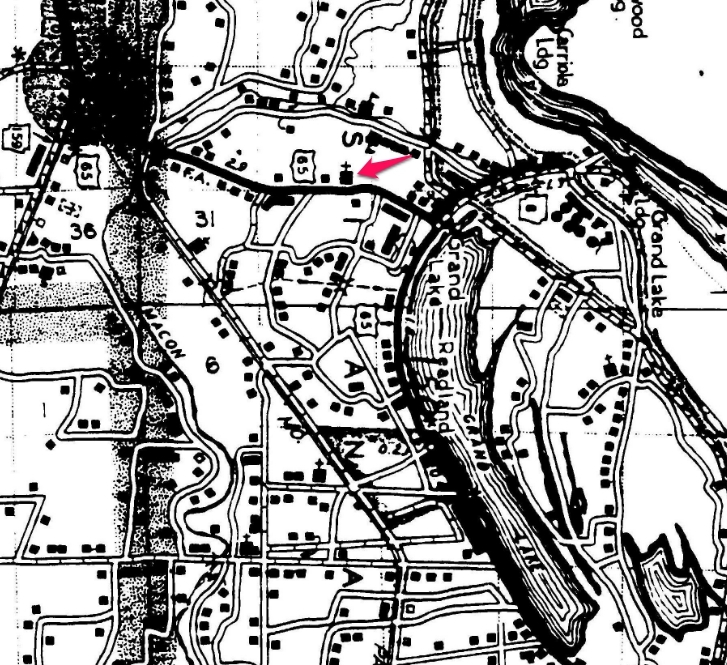 During that same year I established a business at Grand Lake, and operated a general store there until the advent may years later of the old Memphis, Helena and Louisiana Railroad through this section, now part of the Missouri Pacific system. 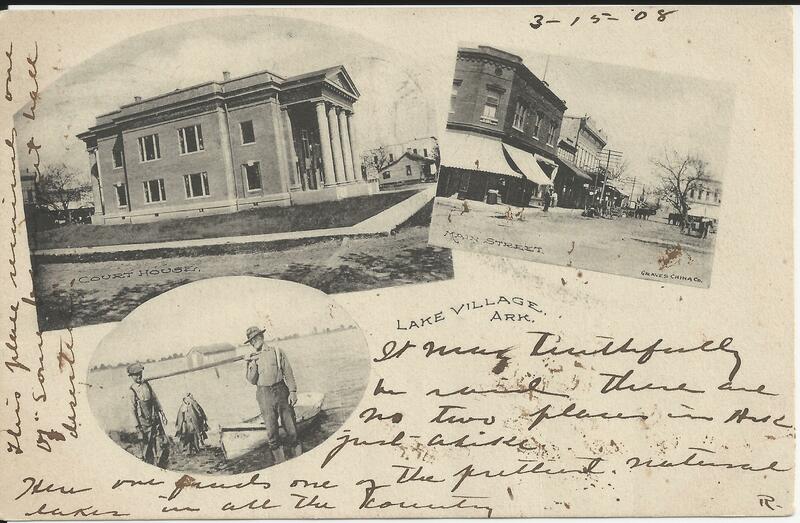 The old grand Lake of 1867…is not the Grand Lake of today. The river’s banks constantly caving has moved its channel some one and half miles to the west and the Grand Lake of 1867 is not in the state of Mississippi. According to Goodspeed’s Biographical and Historical Memoirs of Southern Arkansas (1890) and other sources, Adolph Meyer was born the son of Jacob and Sarah Meyer in Germany near Frankfurt in 1848. He and his brothers emigrated from Germany– likely in the mid-1860s–perhaps just after the Civil War. Meyer made stops in New York City and Louisiana, before arriving at Grand Lake in 1867. He married Carrie Pfeipher of New Orleans in 1875. 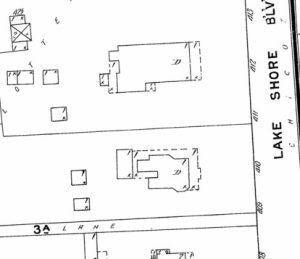 His first store on Grand Lake was at Bernard, but was moved in 1886 to Cariola [Carrieola] Landing. Cariola was named for his wife and Eola Ford, spouse of his business partner, Judge Peter. H. Ford. 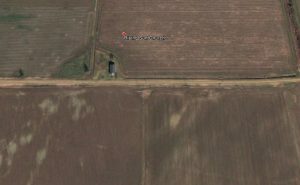 The business moved again in 1905 to Eudora (or Readland in some sources) with the coming of the railroad that year. Adolph Meyer died on March 31, 1929 in St. Louis, Missouri. Carrie died almost a year later in St. Louis on March 27, 1930. Both are buried in New Mt. Sinai Cemetery in St. Louis. Biographical and Historical Memoirs of Southern Arkansas. Chicago: Goodspeed Publishing Co., 1890, pgs. 1080-83. 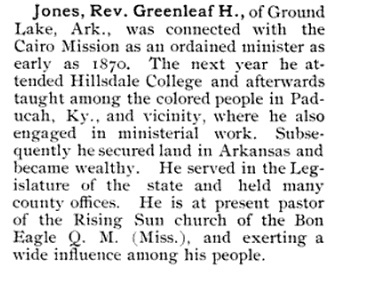 Cashion, Elbert Thomas, Sr. A History of Eudora, Arkansas, Chicot County. 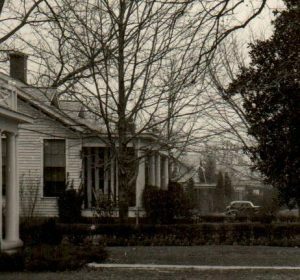 Eudora: 1937, n.p. “Reynold Herbert Meyer,” clipping in private collection of Carrol Meyer, source unknown, n.d. [ca 1935]. “Missouri Death Certificates, 1910-1965.” Online database. https://s1.sos.mo.gov/records/Archives/ArchivesMvc/DeathCertificates: 2017. Will Record Book D, Chicot County Courthouse, pgs. 566-575. Wintory, Blake. 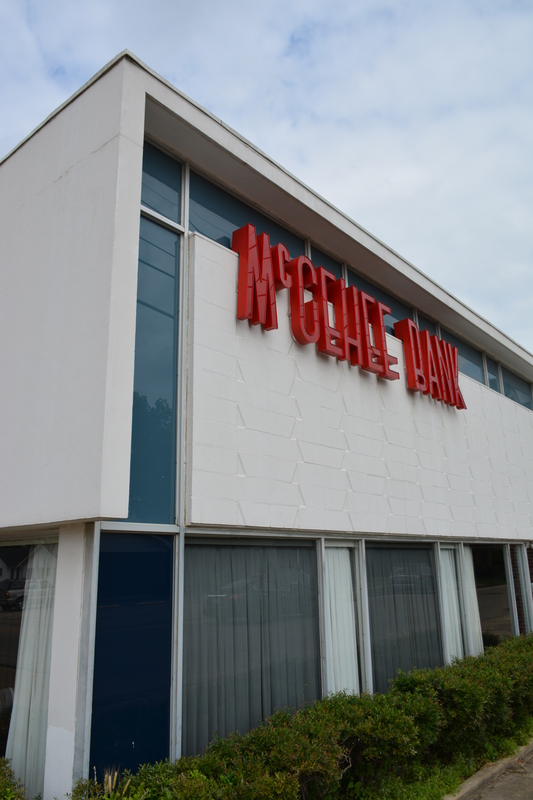 Images of America: Chicot County. Charleston, SC: Arcadia, 2015, pg. 93. Amanda and Linnie would have marveled at the convenience of the two bridges that have connected Chicot County with Washington County since 1940. However, the counties have been connected for far longer. 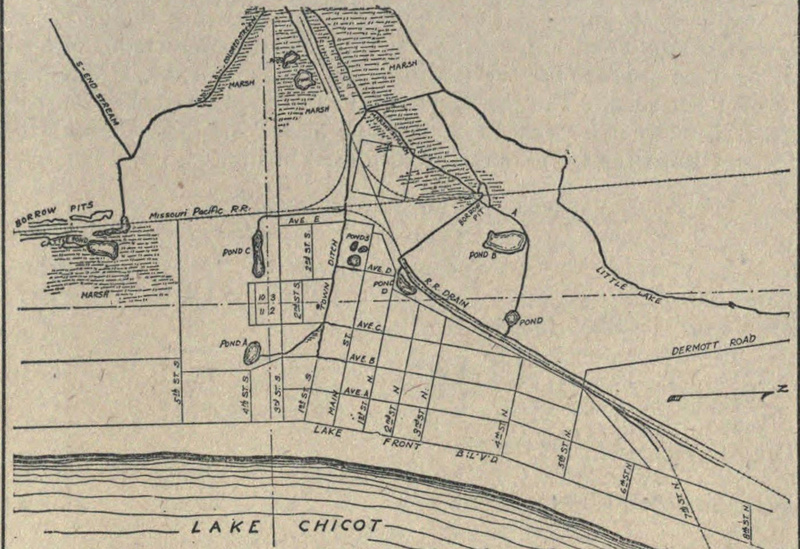 Many Washington County couples married in Chicot County at Point Chicot and later Columbia, since Washington County’s first county seats, Mexico and Princeton, were many miles down river from the county’s northern section. 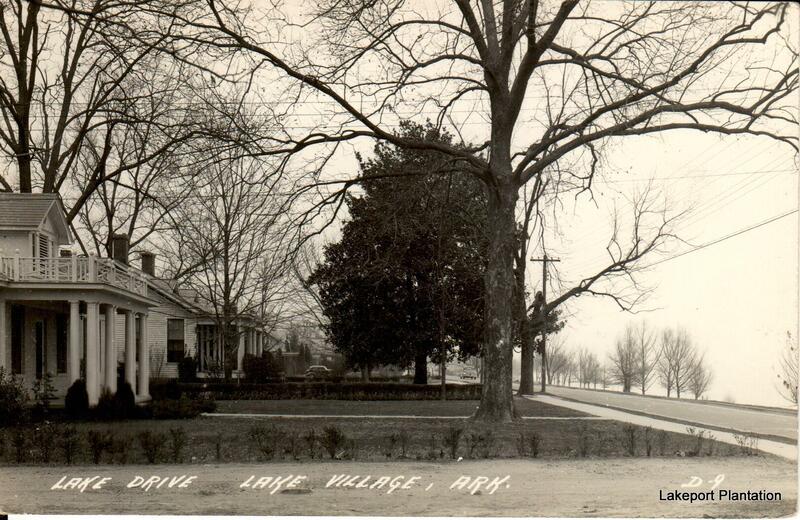 The practice ended when old Greenville, not too far from the current city, became the seat in 1846. Amanda Worthington and Linnie Adams’ friendship also testifies to the connection. 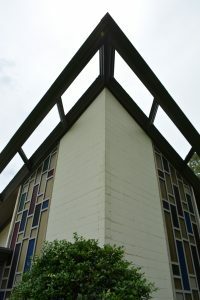 The Worthingtons and Johnsons (Linnie’s mother was a Johnson) were some of the first planters in the region. They arrived from Kentucky in the 1820s and 1830s and ultimately built huge cotton plantations with hundreds of enslaved laborers at Leota, Lake Washington, Grand Lake, Sunnyside, and Lakeport. 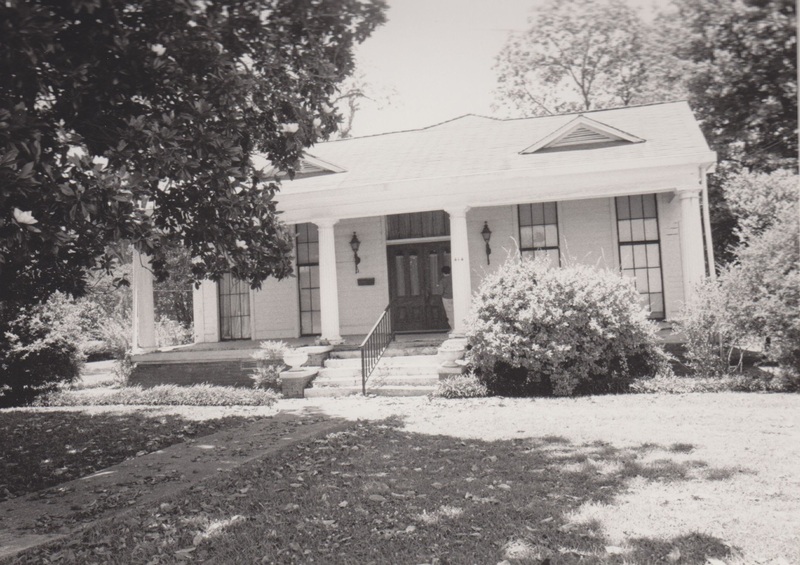 Today the 1859 Lakeport Plantation is an Arkansas State University Heritage Site restored to capture and preserve the house and the history of the people who lived and labored there. Built with a view of the Mississippi River for Lycurgus and Lydia Johnson, guided tours of the house and exhibits explore 19th century life, the lives of enslaved laborers, and the preservation of the structure. 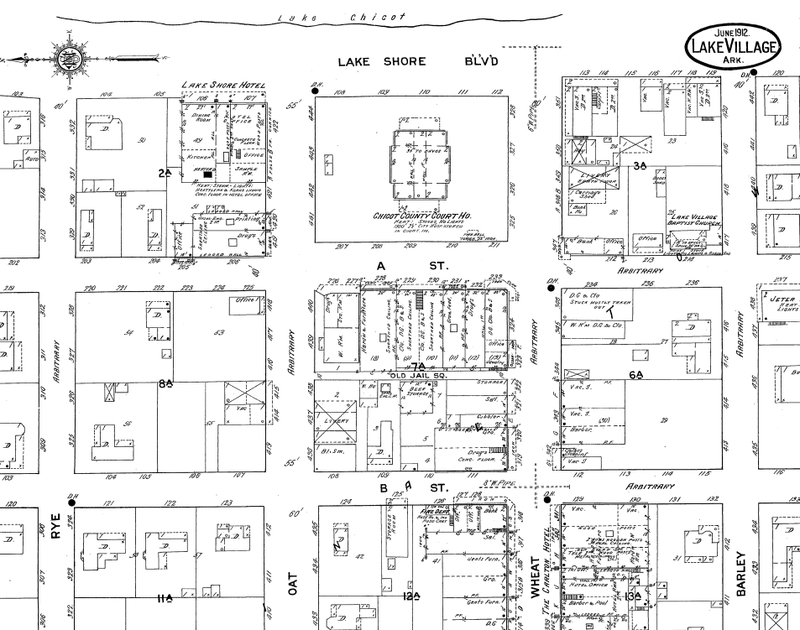 While Lakeport is the locus of the history, it is not where the story ends. 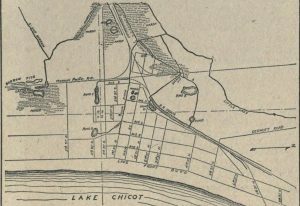 Lakeport explores the Delta through on-going research, publications, and our “Lakeport Legacies” lecture series. Our 2016 Lakeport Legacies, which began in March, dug deep into the Delta’s history with presentations on the geology of the Mississippi Alluvial Valley, the life and family of African American politician James Worthington Mason, the lives of five Italian-American immigrant sisters, the Arkansas Delta’s Mid-Century Modern architecture, as well as the history of the Mississippi Capitol Building. By the time this is published, Lakeport will have one presentation left in our 2016 Legacies series: “The Other Lycurgus Johnson: U.S. Colored Troops and Civil War Pension Files in the Delta” to be presented August 25 by Lakeport Director, Dr. Blake Wintory. 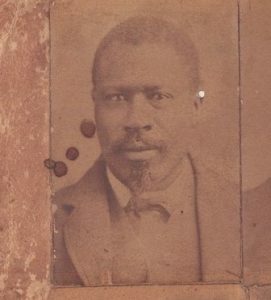 Pension files sometimes contain photographs of claimants, like this one of John Gordon who joined the 11th Louisiana Infantry in 1863. Gordon was a slave on George Falls plantation on Deer Creek in Washington County, MS. Linda Barnickel highlights this find in her book on Milliken’s Bend. Beginning in 1863, the Union Army heavily recruited slaves into their ranks. Nearly 200,000 African American men served in the Union Army, with over 47,000 coming from Arkansas, Louisiana, and Mississippi. The U.S. Pension Bureau, created in 1862, provided monthly payments for Union soldiers and their affected families disabled during the war. Later the criteria for a pension were expanded and by the mid-1890s, the Bureau accounted for over forty percent of the Federal budget. Today the National Archives holds about 100,000 pension applications for African Americans who served in the Union Army during the Civil War. Challenged to prove their identity, African American pension claimants were often hindered by illiteracy and lack of documentation of important life events like marriages, birth, and even age. To fill the gaps, the Pension Bureau initiated “special examinations,” generating volumes of interviews with family, friends, comrades, and former owners. 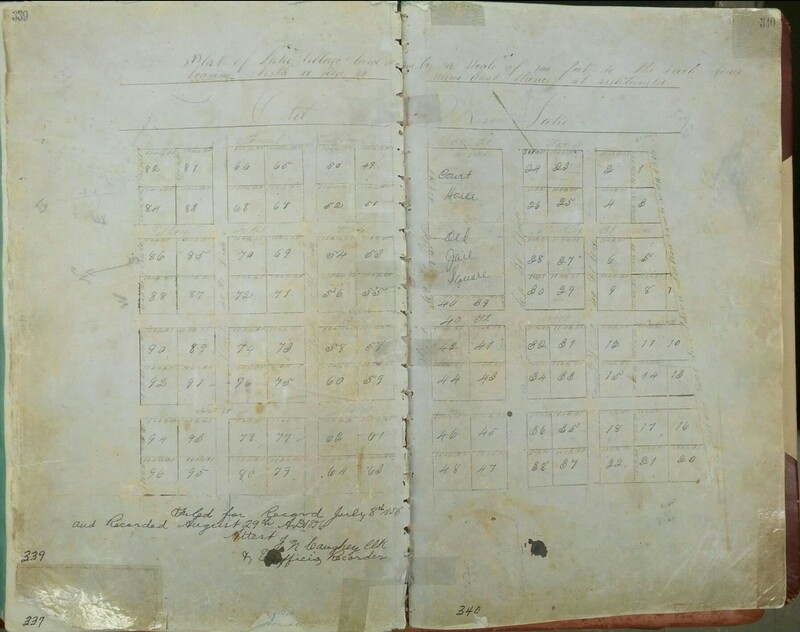 These examinations are a trove of information on 19th century African American life, sometimes providing complete life histories for former enslaved laborers who toiled on Delta’s plantations. 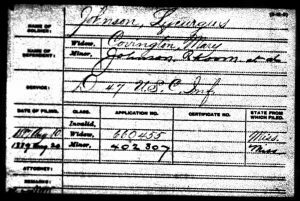 Lycurgus’ widow, Mary Johnson, remarried in 1880 and filed for a pension under her new name “Covington” with her two sons Rhoom and James Johnson. According to an interview with Mary in 1900, she and Lycurgus were slaves on Edward P. Johnson’s Avon Plantation on Lake Washington. (Edward Johnson and Lakeport’s Lycurgus were first cousins). She arrived on the plantation as a “mere child,” while Lycurgus arrived from Kentucky around 1849, when he was likely in his early 20s. 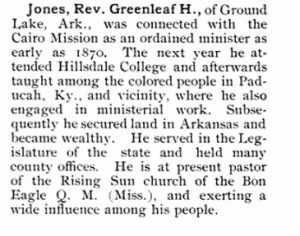 He and Mary were married by “a slave-preacher [Hilliard Holmes] long before the war on the Avon Place & we lived together without separation till Lycurgus Johnson enlisted,” she recalled. Mary was a house servant and Lycurgus worked around the house; he’d “drive the wagon & did things that did not require heavy work” due to his illness. 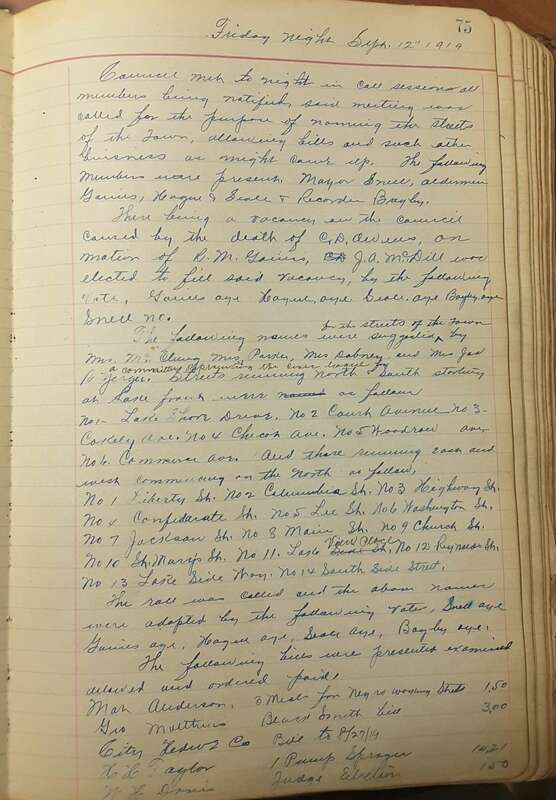 Pension records like that of Lycurgus Johnson can provide important details about African American communities on the plantation. 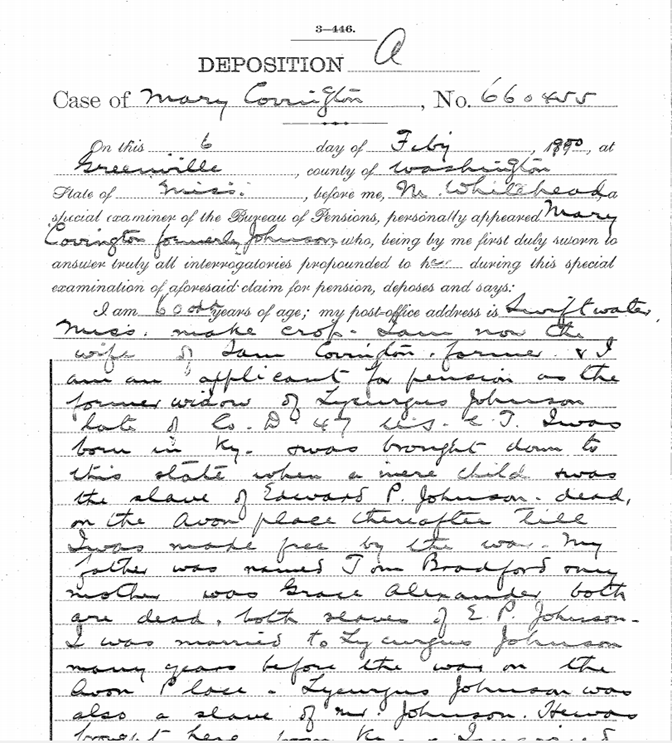 For example, the file also includes interviews with two other slaves on the Avon Plantation, Matt Harris and Downing Williams, and an affidavit signed by the slave preacher, Hilliard Holmes, that married the couple in 1850. 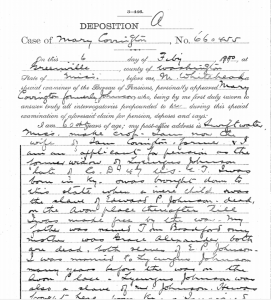 Page from deposition of Mary (Johnson) Covington, February 6 1900.
before he enlisted.” Questioned why the army enlisted a sick man she replied, “he wanted to go so bad because all the other colored people were going in the army.” The pension was eventually denied because Lycurgus’ illness was preexisting and his two surviving sons were both over sixteen. 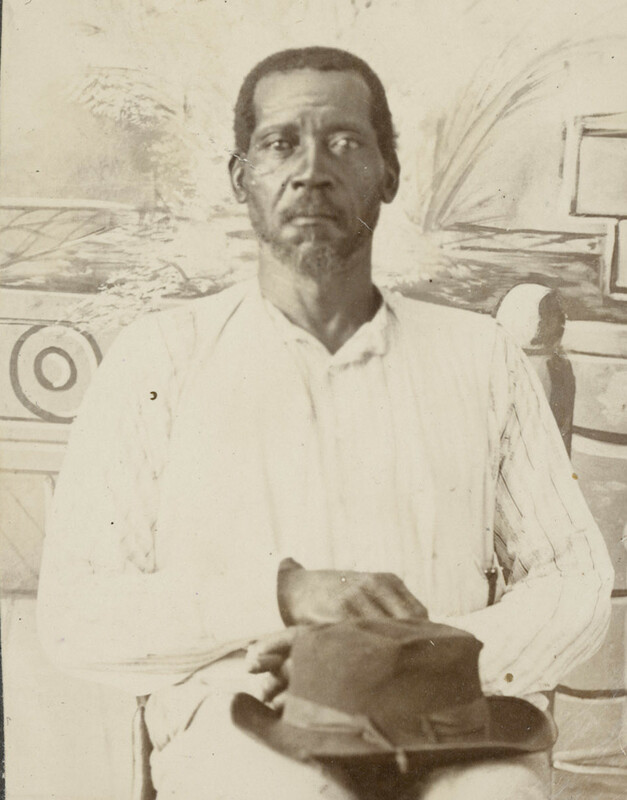 By 1900, James Johnson, appears to be the only surviving child of twelve. 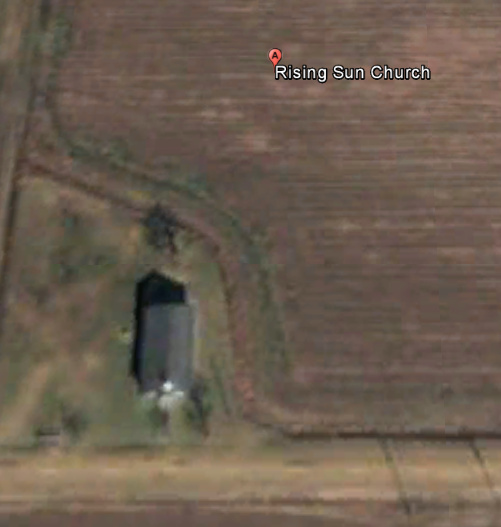 According to the census that year, he and his wife Eujean and two children were farming near Wayside. “Lycurgus” was a common name in the white Johnson family. 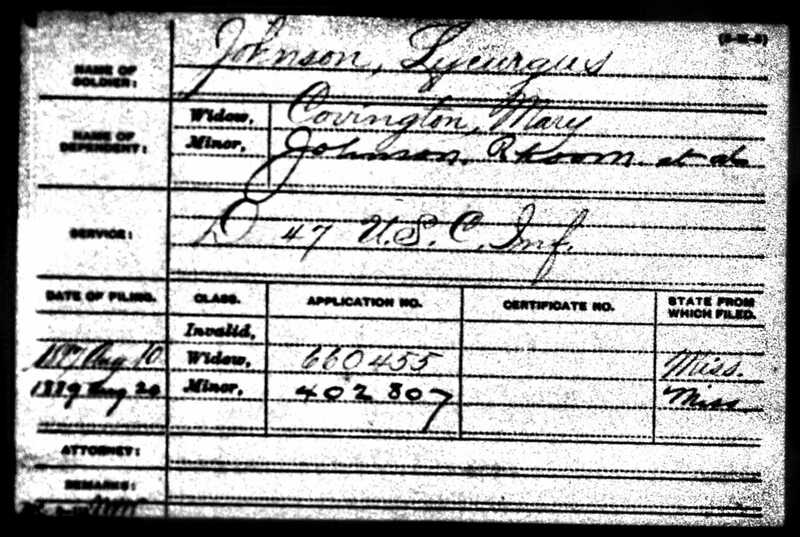 Lakeport’s Lycurgus Johnson was born in 1818, the same year as Edward’s brother, Leonidas Lycurgus Johnson. Both men had grandsons that were there namesake. It was not uncommon for a house servant like Lycurgus (born around 1827) to be bestowed with an honorary family name. 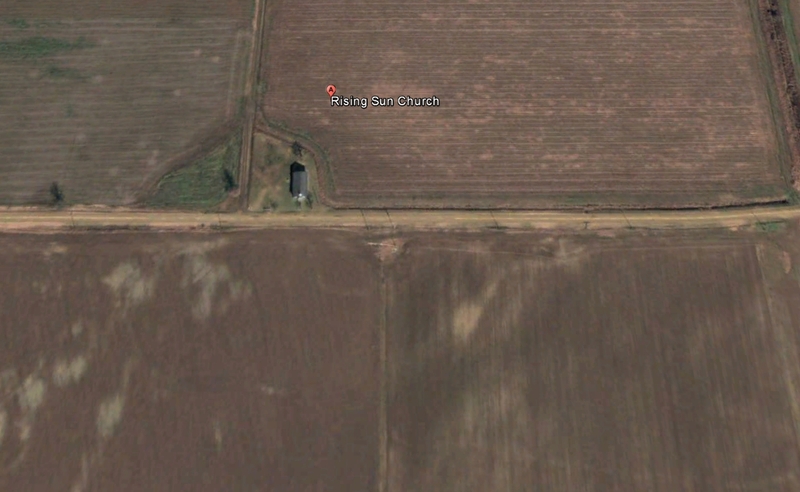 The Delta certainly has a rich and intriguing history to be explored. History at the Lakeport Plantation opens up many topics, whether it is relationships with Washington County planters or a former slave named Lycurgus. The Delta certainly has a rich and intriguing history to be explored. History at the Lakeport Plantation opens up many topics, whether it is relationships with Washington County planters or a former slave named Lycurgus. 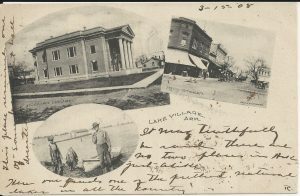 You can learn more at our next Lakeport Legacies, August 25 at 5:30 p.m or by touring Lakeport. 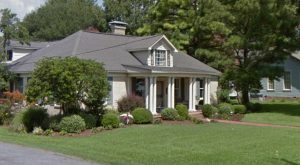 Lakeport is open year around with tours scheduled at 10 a.m. and 2 p.m. Monday through Friday or by appointment, 870-265-6031. Dr. Blake Wintory has been the on-site director at the 1859 Lakeport Plantation since 2008. He is the recent author of Chicot County (2015) in Arcadia Publishing’s “Images of America” series. His wife, Debra, is Greenville’s Chamber Director. They have a five year-old daughter, Janey. Pension files sometimes contain photographs of claimants, like this one of John Gordon who joined the 11th Louisiana Infantry in 1863. Gordon was a slave on George Falls plantation on Deer Creek in Washington County, Mississippi. The rare discovery is highlighted by Linda Barnickel for her book on Milliken’s Bend. Lakeport Plantation director, Dr. Blake Wintory, will present “The Other Lycurgus Johnson: U.S. Colored Troops and Civil War Pension Files in the Delta” on August 25, 2016. 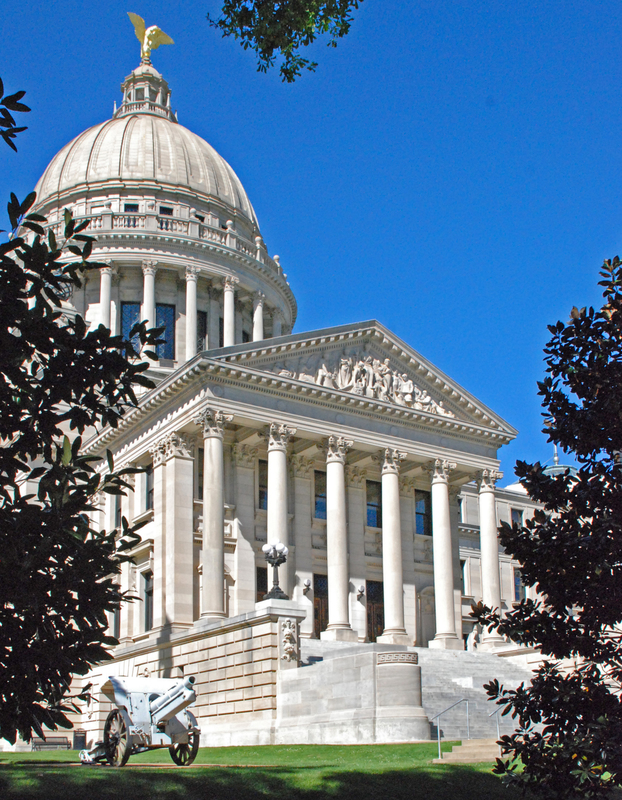 Wintory, will discuss on-going research at Lakeport to learn more about the life stories of slaves and their lives during the post-war Reconstruction era in Chicot and Washington Counties through pension files held at the National Archives. During the Civil War, nearly 200,000 African American men served in the Union Army, with over 47,000 coming from Arkansas, Louisiana, and Mississippi. Many of these men and their families filed for pensions from the Federal Government. 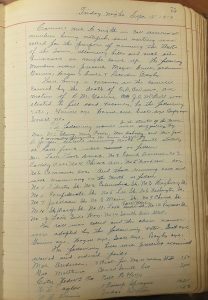 Those files, often filled with interviews with family, friends, comrades, and former owners, can be a trove of information on 19th century African American life, sometimes providing complete life histories for former enslaved laborers. Lycurgus’ widow, Mary, in an interview with a government official in 1900, revealed she and Lycurgus were slaves on Edward P. Johnson’s Avon Plantation on Lake Washington. 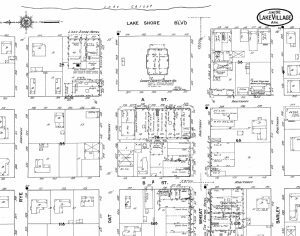 Edward Johnson and Lakeport’s Lycurgus were first cousins. 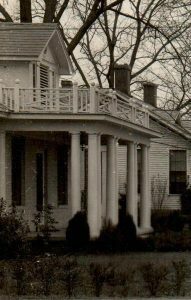 She arrived on the plantation as a “mere child,” while Lycurgus arrived from Kentucky around 1849, when he was likely in his early 20s. He and Mary were married by “a slave-preacher long before the war on the Avon Place & we lived together without separation till Lycurgus Johnson enlisted,” she recalled. Mary was a house servant and Lycurgus worked around the house; he’d “drive the wagon & did things that did not require heavy work” due to the illness that eventually took his life. 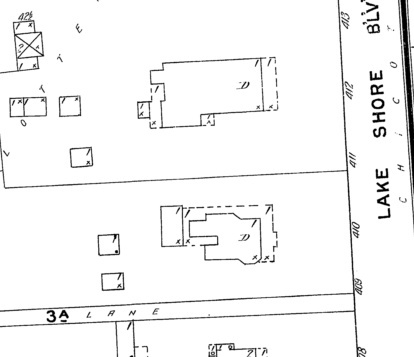 The record also provides important details about plantation communities. 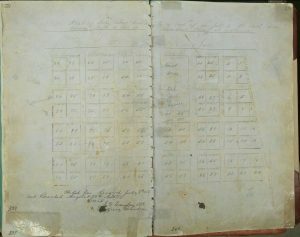 For example, the file also includes interviews with two other slaves on the Avon Plantation, Matt Harris and Downing Williams, and an affidavit signed by the slave preacher, Hilliard Holmes, that married the couple in 1850.